To play your media attach your USB device to the USB port on the TV. Launch the Roku Media Player when prompted. If not prompted go to your Home screen, scroll to your right and navigate to the Roku Media Player. If you do not have a media player installed you may be prompted to add the Roku Media Player channel. 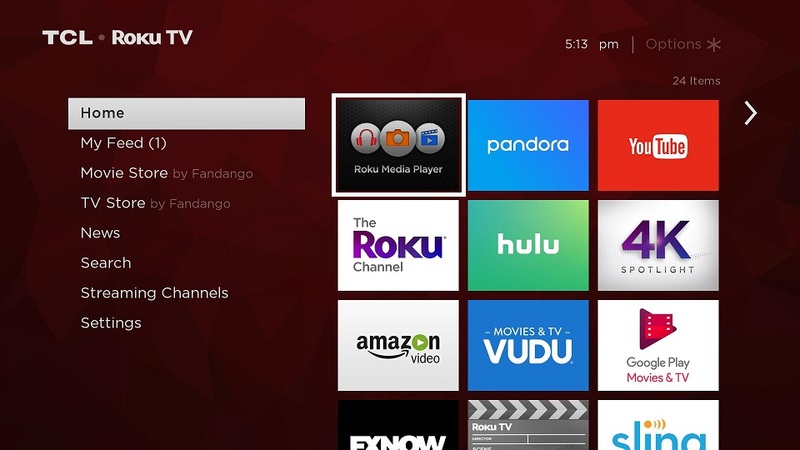 Once the Roku Media Player has been launched either select the first icon labeled All, or navigate to the type of media you are attempting to access. The choices you have are All, Video, Audio, or Photo. Next select your USB device from the menu and then the file you wish to access. Note, unsupported file types will not be displayed. While playing your media you can pause, skip forward and skip backwards using your buttons on your remote. Not all files support fast-forward and rewind. To loop video play back select one of the videos and select the * on the remote to bring up the video options menu. From the menu select shuffle off which enables shuffle on. In general, USB 3.0 drives will work in USB 2.0 mode on your TV. 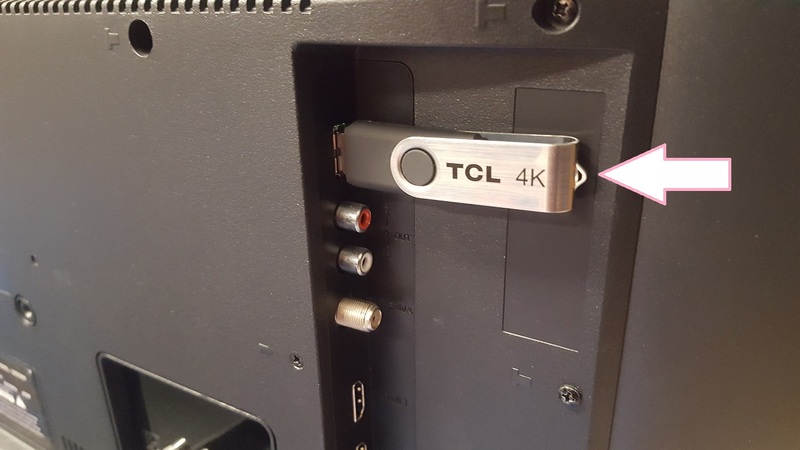 Some USB 3.0 drives may not work if you plug them directly into the USB port of the TV. You can use a USB 2.0 extension cable or USB 2.0 externally powered hub to get around this restriction. There are many types of USB drives, from large external hard drives to smaller thumb drives. It is important to note that different drives have different power requirements – for example, some USB hard drives have an external power adapter that must be connected to a power outlet. The most common reason the Roku device may fail to detect the USB drive is that USB drive requires more power than the TV can provide. Your ROKU enabled TV supports USB devices formatted with FAT16, FAT32, NTFS, EXT2, EXT3, or HFS+. * H.265/HEVC supported only on Roku devices that support 4K.